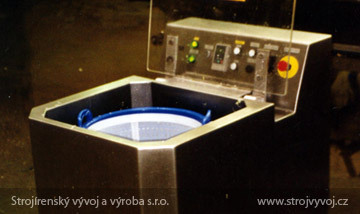 Vegetable spin drier - Strojírenský vývoj a výroba s.r.o. 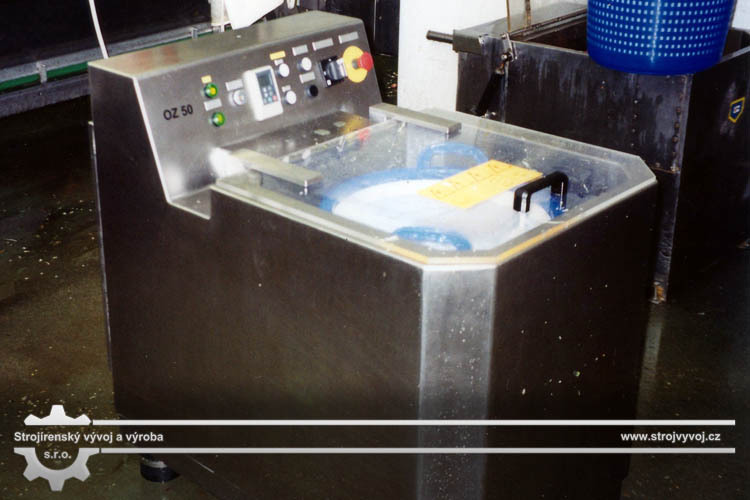 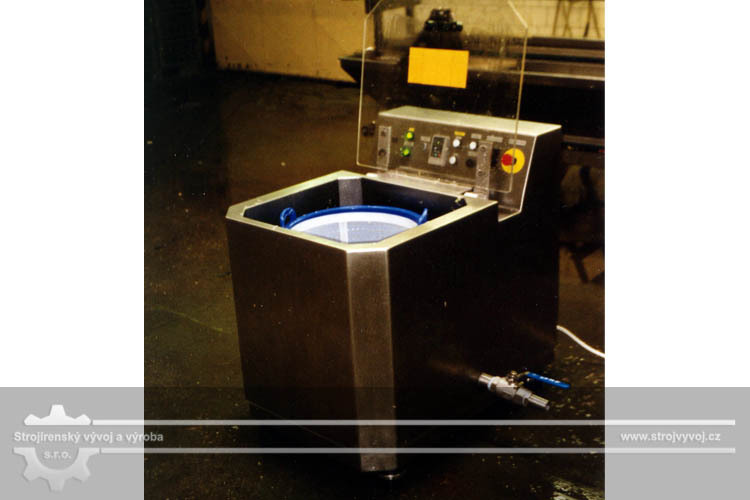 The vegetable spin drier is designed for the removal of water from washed vegetables. 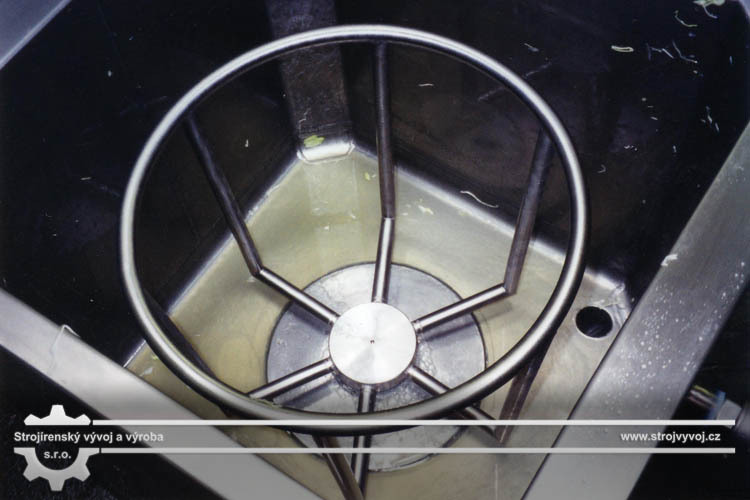 The structure consists of a stainless steel tub in which a rotating carrier is installed. 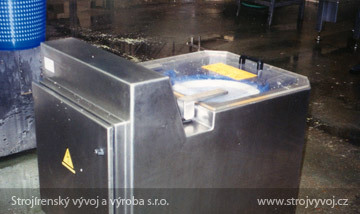 A plastic basket containing washed vegetables is placed in the carrier. 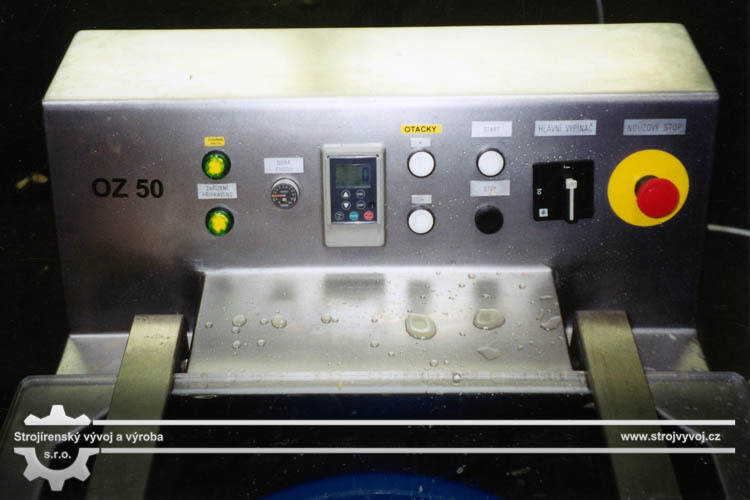 After the safety cover is closed, the spin drier separates water from the vegetables. 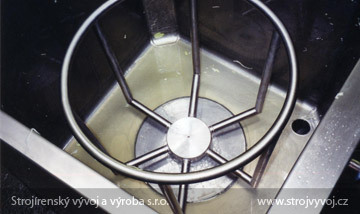 Water is collected at the bottom of the container and flows through the drain. 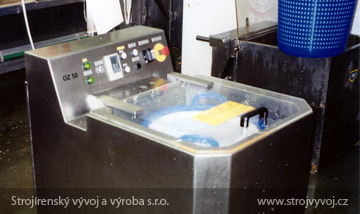 The carrier is driven by a braking electric motor with a belt drive. 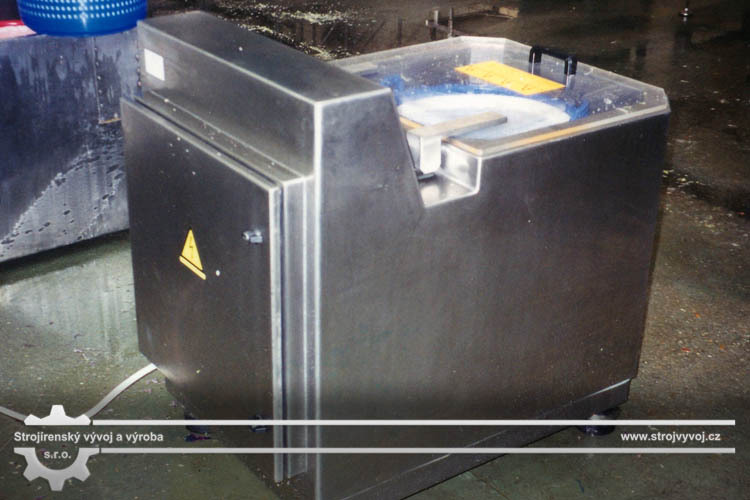 The drive is controlled by a frequency changer for the smooth acceleration and braking of the carrier. 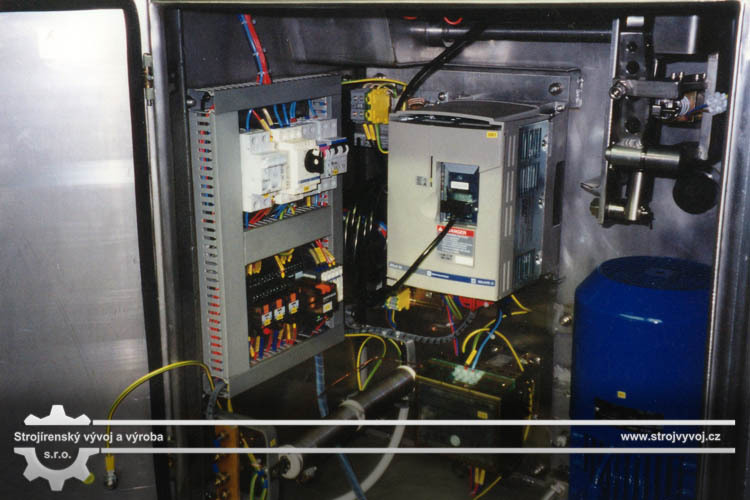 The speed can be regulated using a switch on the main panel. 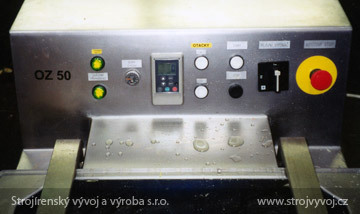 The drying time is set using a switch. 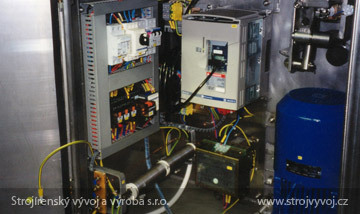 For emergency stopping, the electric motor is provided with a brake.